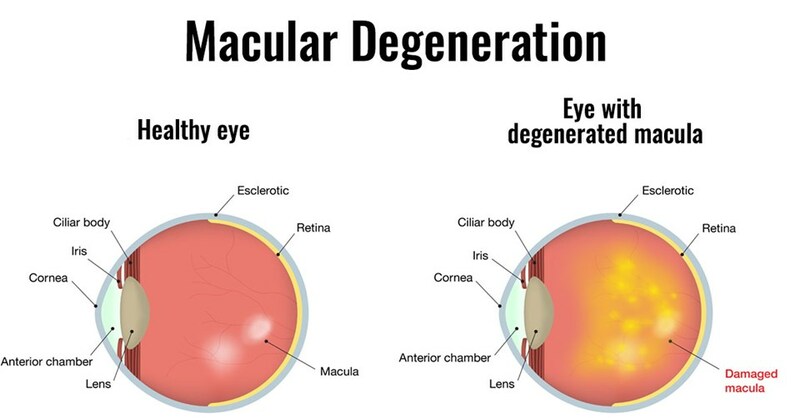 Macular degeneration is a leading cause of vision loss/blindness in people age 60 and older. It is a condition in which the center of your vision called the Macula begins to become damaged. This occurs through a lack of appropriate nutrient supply and a build up of waste product which combined can lead to death of this critical area. Macular Degeneration has two forms Dry and Wet. Dry occurs when the damage is solely created by the waste product and poor nutrient supply. Wet occurs when the damage and starvation of the area becomes so significant that the body tries to grow new blood vessels to feed the Macula. These new blood vessels though made with good intentions by the body are leaky and leak fluid into and under the retina excellerating vision loss. The risk of developing macular degeneration increases as you age, if you have a low macular pigment score, if you have a family history of the disease, ***are a smoker***, have a diet low in green leafy vegetables or if you have any metabolic conditions (Diabetes, Hypertension, High Cholesterol). Yearly eye exams can detect macular degeneration in its early stages so the appropriate lifestyle changes and nutritional supplementation can be implemented to slow progression of this irreversible disease. 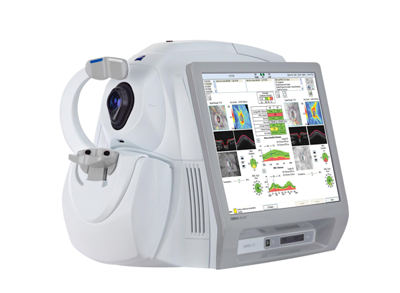 OCT (Optical Coherence Tomography) is a high definition ocular scanning instrument which is quickly becoming the standard for retinal disease diagnosis, management, and treatment. The technology has elevated our level of care by providing views of the ocular structures in a microscopic way the human eye cannot. The analysis software allows us to compare measurements over time and determine if any statistically significant changes have occurred. 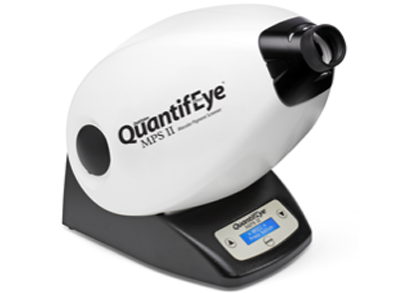 The MPOD MPS II is the most reliable and accurate device available for measuring Macular Pigment Optical Density. The center of your vision and your color vision are provided be a single portion of the retina called the Macula. This area is protected by a layer of pigment (synonymous to a layer of sunblock) which this instrument measures. Low levels are a known risk factor for macular degeneration development. Luckily this layer of pigment can be regenerated with the use of specific nutritional supplementation if found to be low. Our practice carries a variety of high quality supplements to aid in this process among many others. 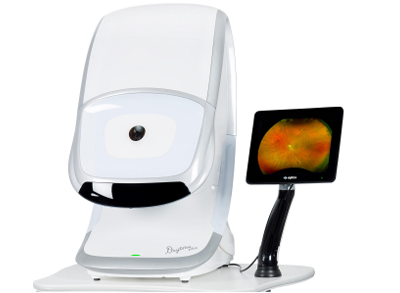 The Optos Daytona is retinal mapping system that captures an unparalleled panoramic image of the inside of the eye allowing us to monitor conditions that occur around the outside of the retina (or the back of the eye). This instrument allows us to take special photos called FAF (Fundus Autofluorescence) that gives us more information on the extent of damage caused by macular degeneration and the areas it may progress into next. 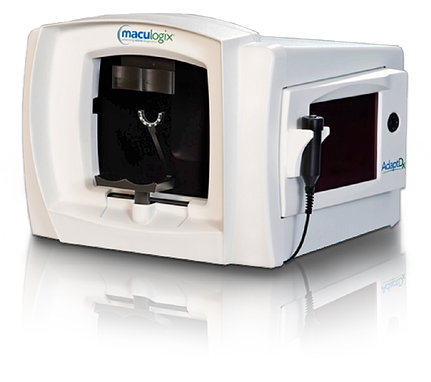 The Adaptdx Dark Adaptometer is the newest development in Macular Degeneration detection and monitoring. Macular degeneration is a disease which leads to the death of the retinal zone that provides your central and color vision. This occurs through a lack of appropriate nutrient supply and a build up of waste product which combined can create extensive damage. This device allows us to measure how sensitively your eyes adapt to darkness. The layer of the retina first affected by Macular Degeneration plays a large roll in this process. If your eyes do not respond appropriately you have the earliest changes of macular degeneration occurring at a cellular level even if no physical evidence can be uncovered by photos or viewing of the retina. This allows us to uncover Macular Degeneration years before physical signs even manifest.